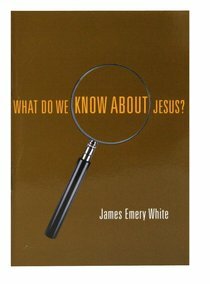 About "What Do We Know About Jesus?" James Emery White (Ph.D., Southern Baptist Theological Seminary) was the fourth president of Gordon-Conwell Theological Seminary. Dr. White is the founding and senior pastor of Mecklenburg Community Church in Charlotte, North Carolina, which began with a single family and grew to over 3,000 families with over 5,000 active attenders. Mecklenburg experiences more than 70 percent of its growth from the unchurched.He holds . He has done advanced graduate study at Vanderbilt University, and continuing studies at Oxford University, Oxford, England. White is the author of twelve books, including Embracing the Mysterious God; A Search for the Spiritual; Serious Times and The Prayer God Longs For.